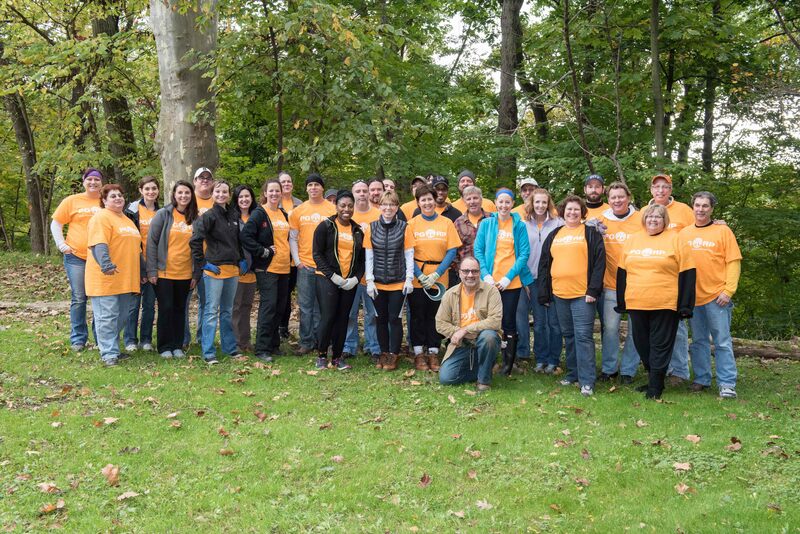 Yesterday, for the sixth straight year, Pipitone Group (PG) took the day off to participate in its annual Community Day. 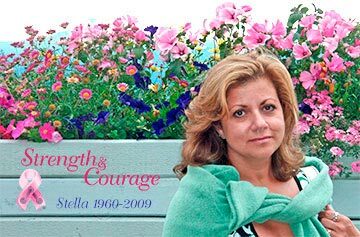 In 2009, Stella Pipitone lost her courageous battle with breast cancer. But, her legacy still lives on to this day thanks to a relationship she formed with another breast cancer patient, Dr. Sharon Cowden. At the time, Sharon was working with Janette Poppenberg an ACSM/ACS certified Cancer Exercise Trainer on developing an exercise DVD for breast cancer survivors. They had received funding and were in development of the DVD, but needed help promoting it and raising more awareness about it. 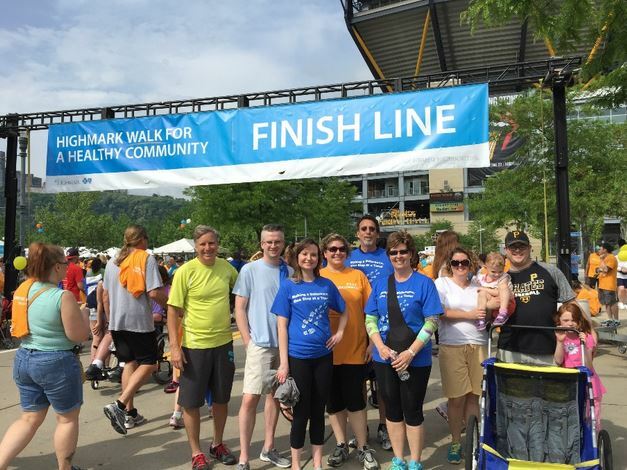 A small but mighty team of Pipitone Group employees participated in the 5K Highmark Walk for a Healthy Community on Saturday, May 16, to raise funds on behalf of our client, Presbyterian SeniorCare. 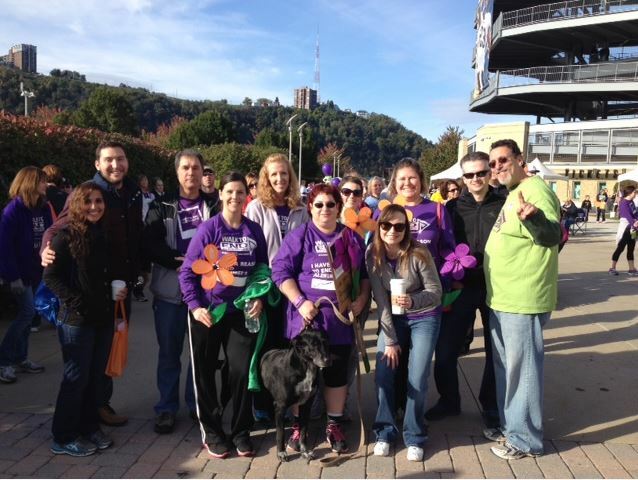 The group raised $795 for resident recreation programming at Presbyterian SeniorCare’s campuses in Oakmont and Washington, Pa., and their SeniorCare Network communities. The recreation funds allow residents to participate in fun outings and provide underwriting for the cost art supplies, games, music, computer software and other activities. 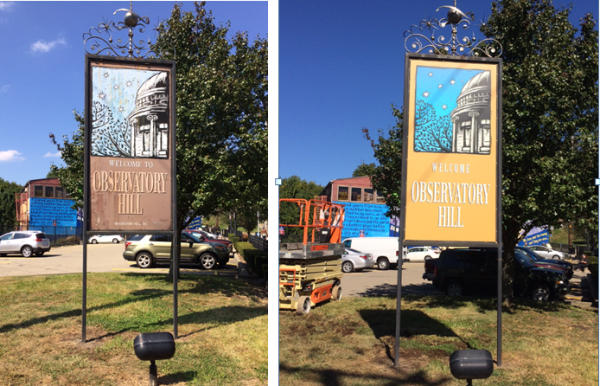 On September 16th, we shoveled and raked and painted, working to make our community a little bit brighter during our fifth annual volunteer day. However, our work was not yet complete.